The MSG Conundrum. 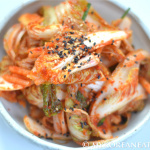 For most of my recipes, I have tried to use fresh, local ingredients and seasonings that are healthier than what you would find at most Korean grocery stores. For example, I’m using organic dwenjang (fermented soybean paste) provided by the local cooking school that my girlfriend and I volunteer at, and we also get a regular supply of homemade gochujang and gochugaru (red pepper paste n flakes, respectively) from MJ’s parents, who just happen to run their own Korean restaurant on the mainland. We’re definitely lucky to have access to such important ingredients and it saves us the headache from choosing one of the many brands out there. With that said, it brings me to an ingredient that is often overlooked/ridiculed/frowned upon in the culinary world: MSG. Not familiar with MSG? Click here. 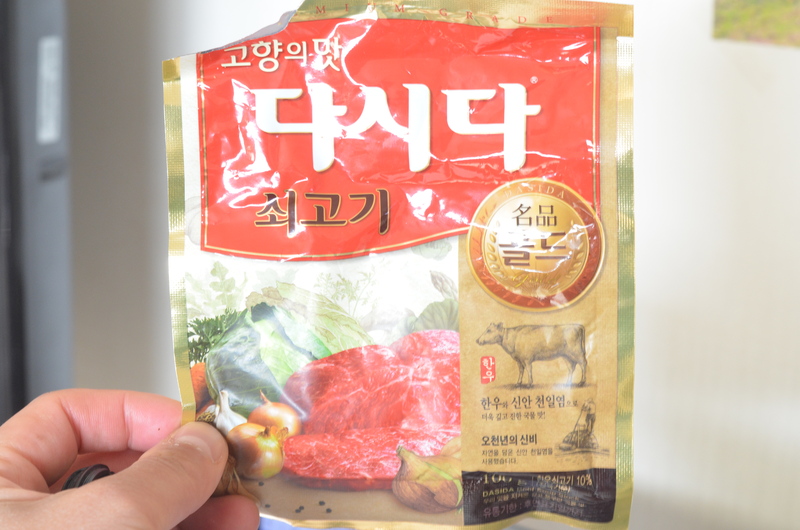 After doing a great deal of cooking this past year as well as eating out at many of the great restaurants here in Korea, I have come to realize that this lone ingredient makes all the difference turning a mediocre dish into an amazing one. Whether or not it’s good for you is debatable, but nevertheless here’s my take on the subject. Growing up on a good amount of Chinese-American fast food in the States (especially in college), there has always been a caveat associated with the food and its heavy use of MSG. People were reportedly getting sick (can you say overeating?) and it basically got a bad wrap in the press despite no hard scientific evidence. It is the Asian version of American fast food — fast, cheap, greasy, addictive, and undeniably unhealthy. Why do I bring this up? Koreans love their MSG just as well. It wasn’t until a few trips down to my girlfriend’s home did I discover the deliciousness and my subsequent addiction to MSG. The simplest of soups and stews with some MSG goodness had me licking not only the bottom of my bowl but also the pot itself (sorry but it’s true). 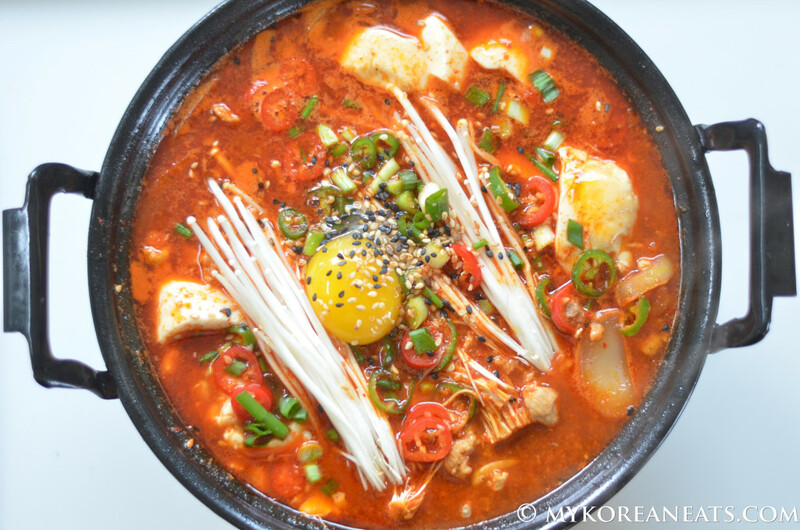 Ever since then—and after some lengthy research on the subject—I have just begun to use MSG products in my cooking after failing to reproduce some classic Korean dishes like you get at restaurants. 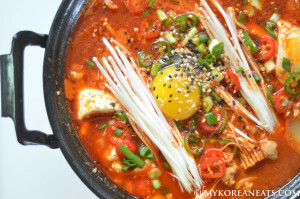 One notable dish that stands out is Soondubu Jjigae (Silken Tofu Stew). For me, it’s one of those dishes I hate ordering at restaurants because it’s so simple, yet for some reason or another I end up regretting it and finding myself stealing half a friend’s order. Well, after learning and hearing about things from here and there, one of the reasons that this dish is so popular isn’t because of the silken tofu and its other modest ingredients, it’s the savory and super delicious broth made better by the MSG. MSG enhances every ingredient in the dish and acts like regular table salt except with added superpowers. 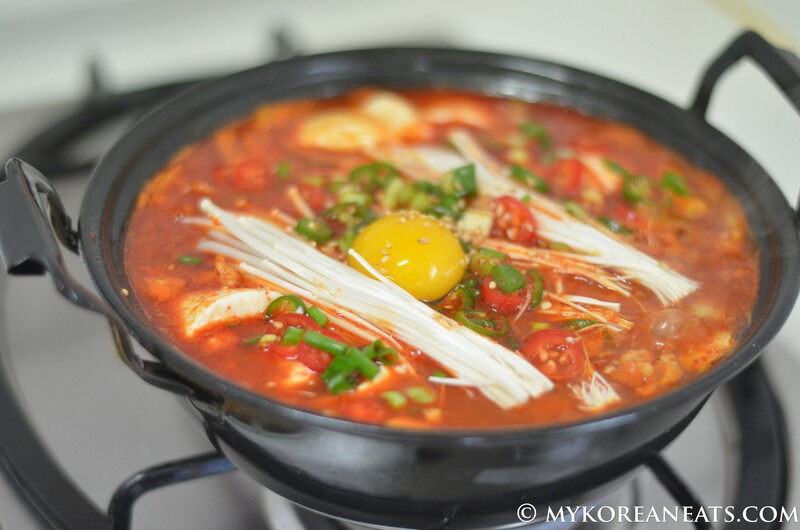 Thankfully, it did wonders for my recent Soondubu Jjjigae, too. 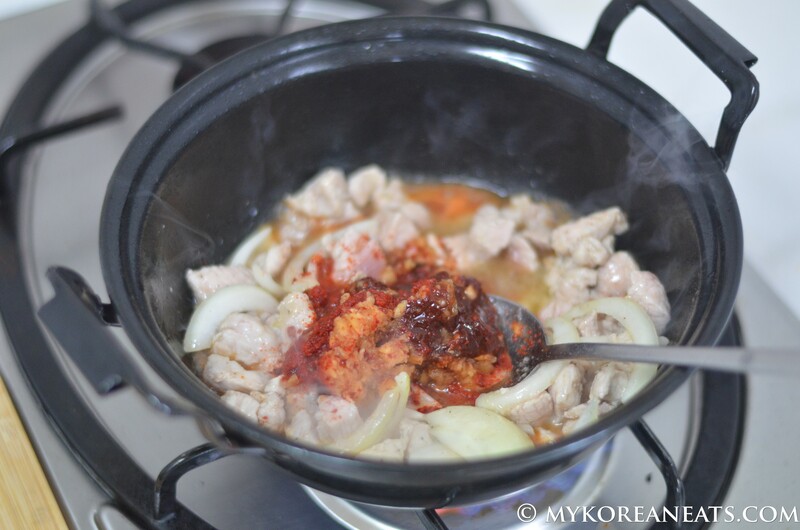 For this particular recipe, I again used Jeju black pork as the main protein, two tubes of silken tofu, onions, and enoki mushrooms. However, the addition of dashida (instant beef stock with MSG) provided exactly what I was looking for—a deep, savory, and robust broth with the perfect combination of contrasting ingredients. Finally, I have no reason to order this dish at restaurants when I can make it just as good, if not better, in the comfort of my home. 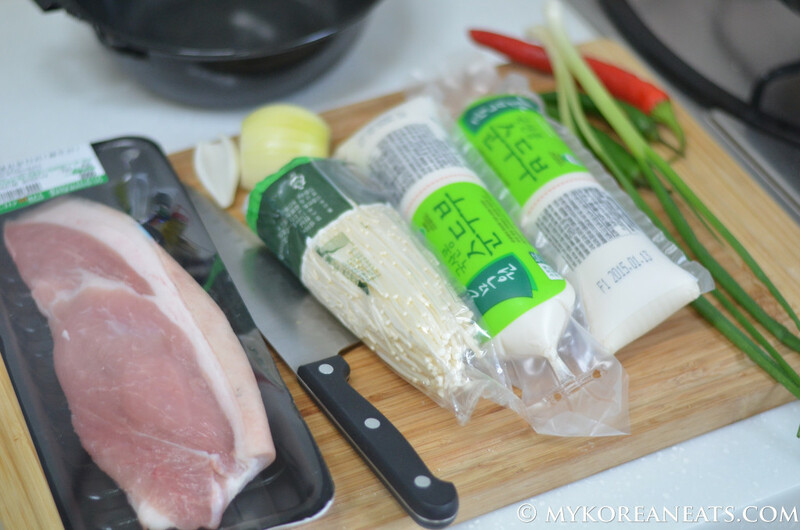 I did not use this whole cut of pork (although I would have if I didn’t have a health-conscious partner) for this soondubu. However, I did buy an extra tube of silken tofu to prevent us from fighting over the creamy, soft, addicting tofu. 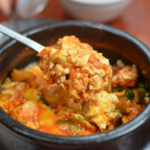 Soondubu jjigae is great because there’s no specific ingredients (besides the tofu) you need for it to be a success. 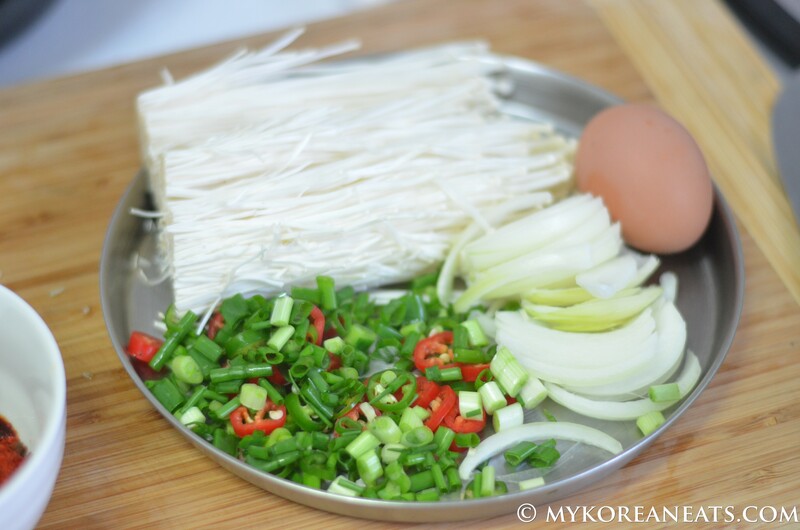 It has minimal ingredients, but I chose enoki mushrooms, onions, and green onions to complement the silken tofu. 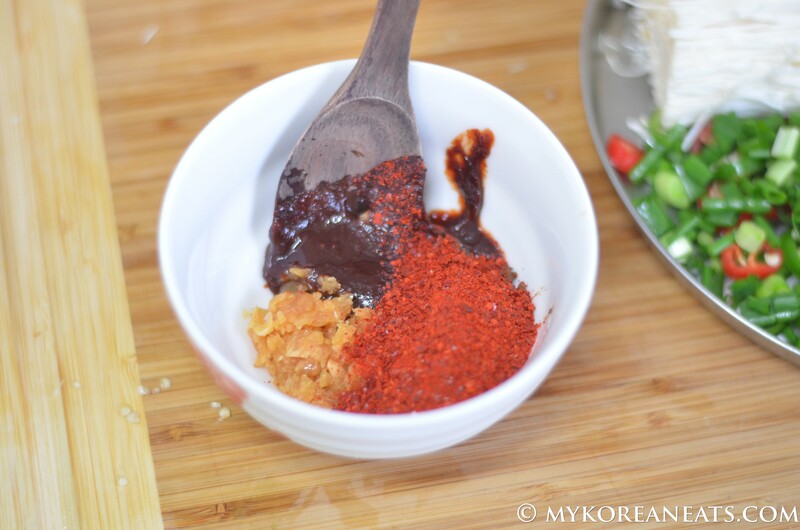 Base seasoning includes a good dose of gochujang and gochugaru (red pepper paste n flakes) plus garlic and a few other ingredients. I added some dashida (instant beef stock w MSG) for some more flavor and depth. 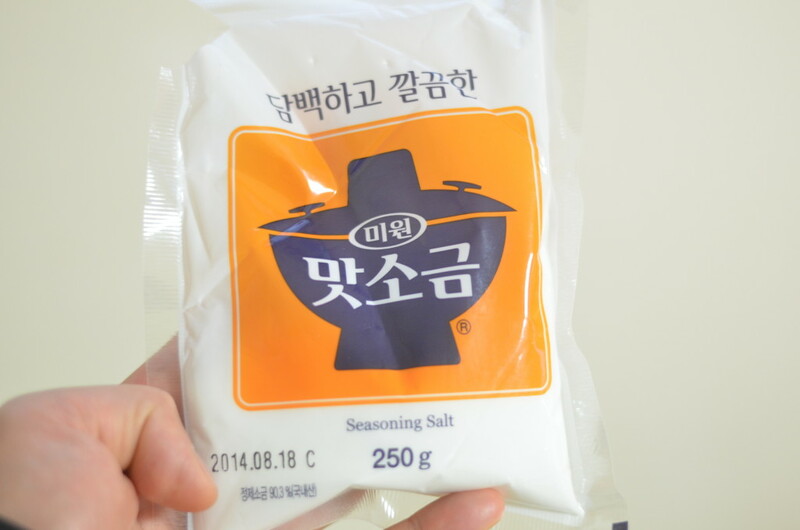 Miwon brand MSG is one of the most widely used seasonings in Korean cooking and restaurants. This one called “mat-so-geum” (“tasting salt”) is a combination of salt and MSG, and is something I use in place of regular table salt. And just like salt, I use it in moderation. Stir-fry the pork until well browned. If it’s a lean cut of pork, make sure to add some cooking oil like olive or canola oil. If it’s a fatty cut like pork belly, extra oil will not be necessary. Add the seasonings and onions, stir fry another 10 minutes. Add remaining ingredients, let simmer for about 10 minutes, and garnish accordingly. 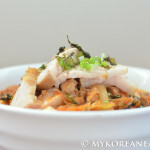 Optional: Most Korean soups and stews usually start off with a fish-based broth composed of myeolchui (dried anchovies), radish, and dashima (kelp). I've omitted this step since I used pork and the beef stock for the broth. You're welcome to add this step if necessary. Prepare all the vegetables accordingly, set aside. Cut the pork into small pieces seasoning with salt and pepper. 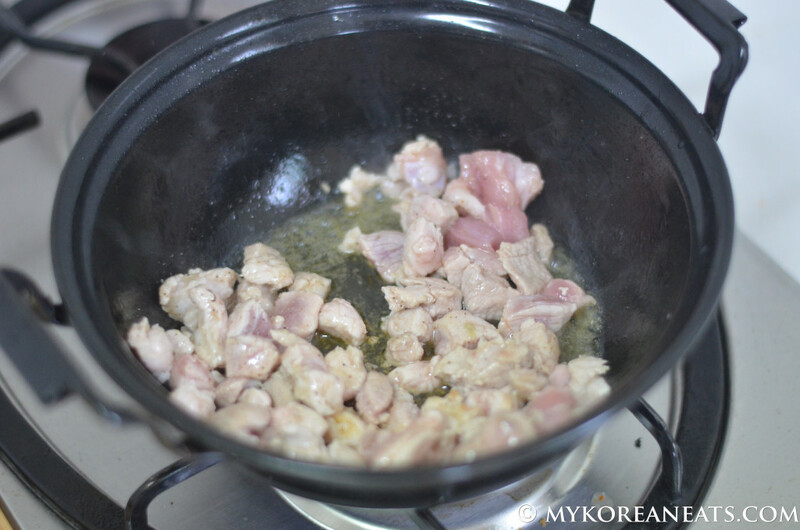 In a pot, stir fry pork in a generous amount of olive oil until browned. Once cooked, add onions, chili peppers, and seasonings, stir fry another 5 minutes. Add water to cover and run to a boil, 5 minutes. Sample the broth and adjust accordingly with seasoning. 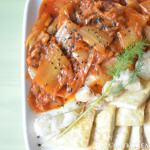 Cut open the tubed tofu carefully and add into the pot without breaking into pieces. 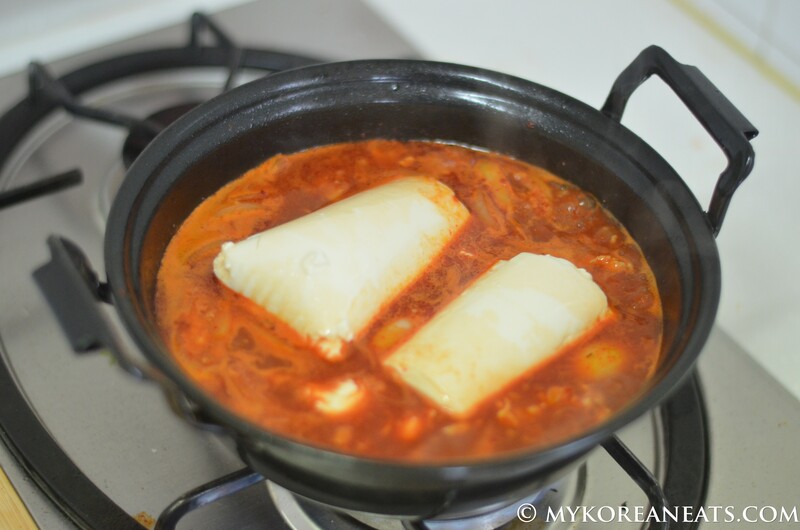 Add remaining ingredients, cover, and simmer for 10 minutes. 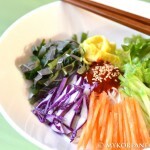 Once finished, crack in an egg yolk and garnish with available greens or remaining enoki mushrooms. Drizzle with sesame oil. Enjoy with plain white rice.